A small mini-event has started on Club Penguin Rewritten, in celebration of the Beacon being fixed, which over seven and half million coins was donated to fixing! If you head into the Lighthouse, you’ll find a few added decorations, and the Penguin Band playing! They don’t offer a background or any stamps, but do just look cool. At the Beacon, you can find a free item, which is the Sailor’s Cap. 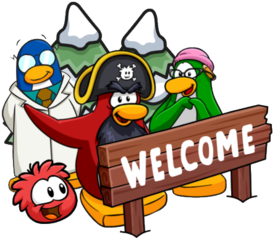 If you look through the telescope, you’ll also see that Rockhopper is coming and will most likely arrive in time for the Christmas Party later this month! 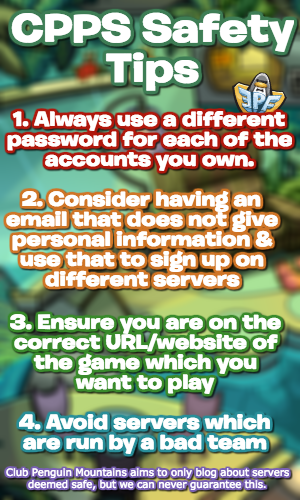 The Rockhopper Tracker has been updated to reflect this. This is just a small event but be sure to collect the free item whilst it’s still available! Will the light house party have ended tomorrow? I don’t think so, I’m pretty sure it’ll end next week, but I’m not certain. That would’ve been a nice addition. The music from Lighthouse has a flute in it. I’m pretty sure G Billy can play the flute! I thought of G Billy having flute in beak and playing drums with his flippers.